To gossip the fair wi' me. [Whist ! Came to us owre the lea. To see what was to see. Afloat in their scarfs sa free. Years long ago ! Ah me ! BALLAD BY ALICE SARGENT, PICTURE BY C. M.
BER, 1896. PRICE, SIXPENCE, NETT. First line reads: Twas aye the night afore Rood-mas. In one column with a woodcut above the title. 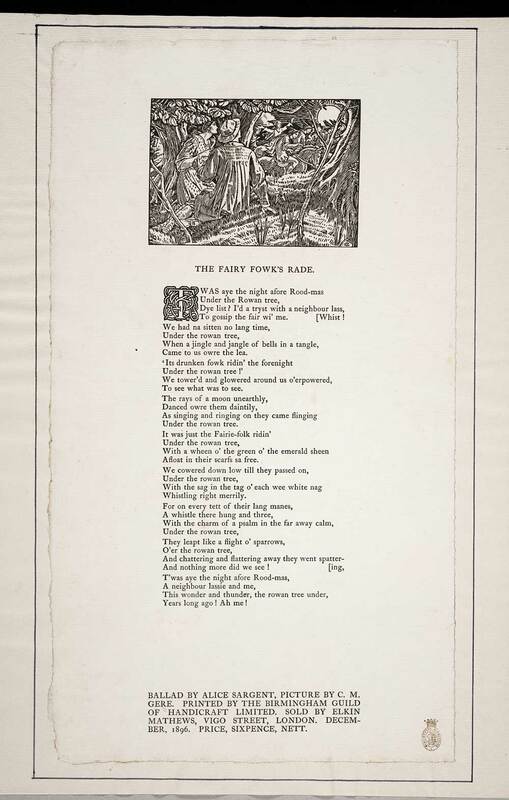 Printed before imprint: Ballad by Alice Sargent, picture by C. M. Gere. Printed after imprint: Price, sixpence nett.